Summer is blooming in New York and with every passing day the scorching heat is constantly increasing. But despite the warm weather this is one of my favorite seasons because of the vast styles and colors of clothes that can be worn in the summers. I normally go for easy breezy styles, light colors and materials such as cotton, chiffon, light jersey, etc. 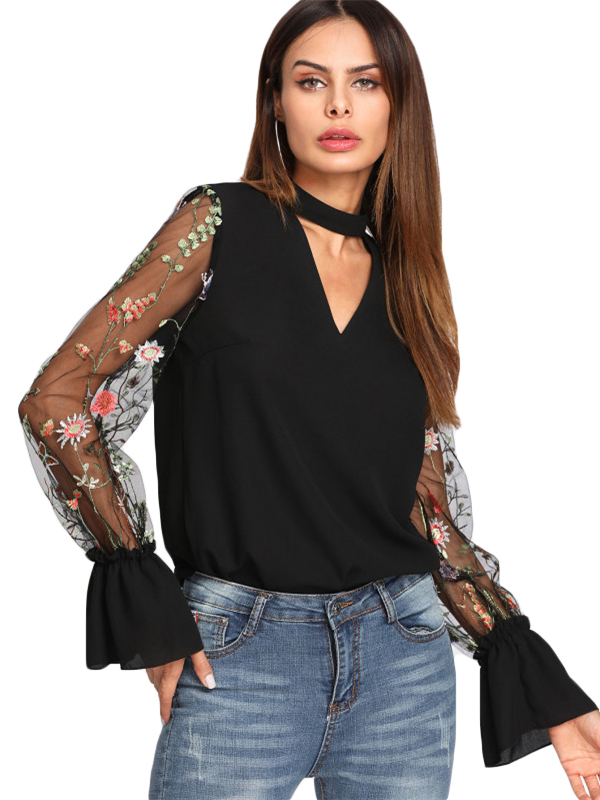 One of the must have style for every closet this summer is off the shoulder aka cold shoulder. Whether it is a top, jumpsuit, romper or dress, off the shoulder trend is all over the fashion runways these days. 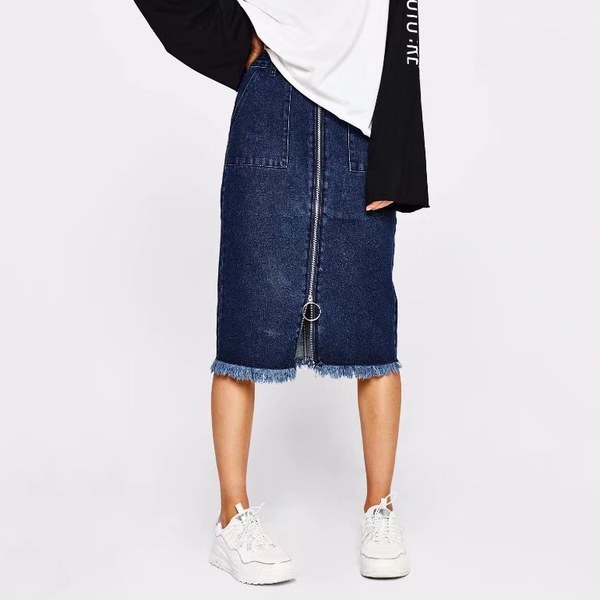 Denim skirts are another hot trend for this season and they are a perfect item to wear year around. 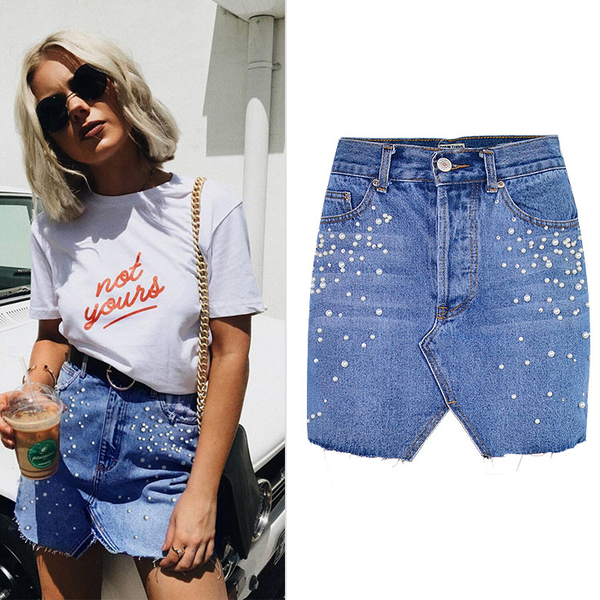 They are comfortable, casual, and an easy way to make an outfit look effortlessly chic. And lastly, how can I not mention about the women's blouses which are a staple for every women's wardrobe. Hope you guys like my picks. Also, another news is that 4th of July is coming soon and all retailers are offering massive discounts on their items. And so is one of my favorite retailer Wholesale7 who are offering up to 60% off on the special occasion of U.S. independence. I love love love that first look! That shade of green is stunning. That green top is so cute. 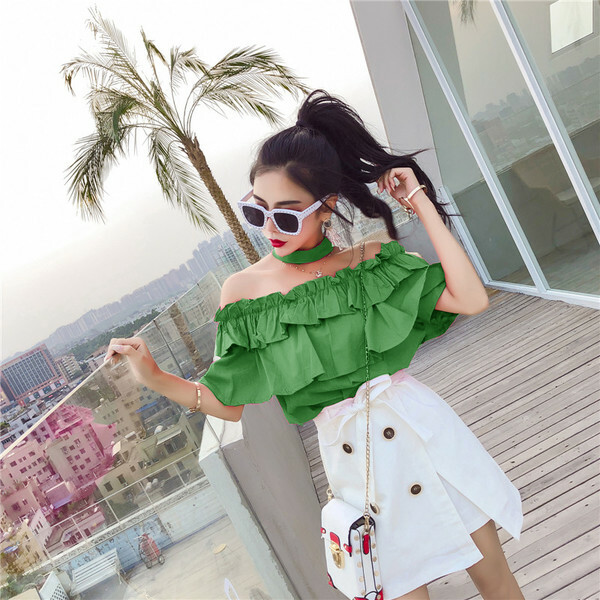 The green ruffle top looks pretty and romantic. They have nice clothes and quite affordable too! Hey there, it's me Bisma. I am a New York based fashion blogger and have done Fashion Merchandising from the Fashion Institute of Technology. I basically love everything related to beauty and fashion and my blog is just a mean to share my way of style with the world.